Scott Will Do It For You!Still confused? For $97 Scott will setup and configure any Genesis theme for you! Now that you have Metro child theme installed, you may have noticed that it looks nothing like the demo provided by StudioPress. In this two-part series, I will walk you through the entire setup process to setup the theme exactly like the demo. At the time of recording, Metro was actually my favorite Genesis theme which is why I chose it for this series. By going through the steps setting up Metro, you have the benefit seeing what the Genesis framework can do for your site without much knowledge of PHP or HTML code. Find the setup instructions for your theme on StudioPress. Copy and paste the instructions to a text editor. See the various widget sections of the Metro Child Theme that you can configure. Install the WordPress Importer tool. Import the XML file from the Metro theme with images and temporary content. Switch between the various color options that Metro comes with. Upload your large background image that your site will display. Setup the primary navigation menu. Setup the secondary navigation menu. Configure your own custom navigation menu. Add the date to the primary navigation menu. Add text to the secondary navigation with “Subnav – Left” widget area. 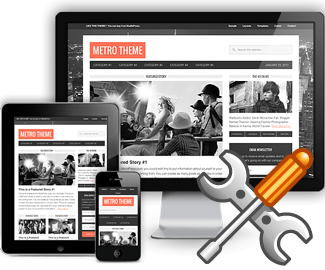 Continue configuring your theme with Configuring Your Metro Child Theme – Part 2. This video you are viewing is part of a full First Website video training series. Be sure to see the entire lineup of videos available at the First Website Beginner Video Training Series main page. If you haven't already, please consider a donation if this series has helped you. Thanks for sharing this site with everyone you know!. This is great, thanks for making it!! I am new to WordPress and took a chance that I could find some information about how to DEAL WITH Genesis’s child theme Metro. Your 2 part tutorial was fantastic! Really appreciated the cadence, the warmth in your voice as you were taking us on the journey of repopulating the theme as was originally presented. I learned so much in those two short tutorials. I am up and running…. Thanks to you! This is a great tutorial. Can you tell me how to get the background image? I do not seem to have it. Hey Chris. You can grab the background image that is used in Metro here. I have no idea if this image is copyright free, so tread carefully and use at your own risk. Any dark background looks good. Hi – Video 2 link isn’t working – could you please tell me what size and resolution I need for the background photo – then my site will be ready to rock – thanks! Hey Heather, Scott Buehler here letting you know that I’ve repaired the link. Here is the link to page 2 of the Metro series. Sorry about that! Just yesterday bought Metro theme. Thank you very much for your usefull tutorial. After installing and configuring as per your tutorial I can not see subnav left widgit area. How to change “Like this theme” ? Thank You! You made my work easy. The only issue … I’m still unable to identify subnav left widget area. Any inputs would be appreciated. It doesn’t work to the latest version anymore. But you can enable the sub nav on the left by enabling the CSS Classes and use “assignleft”. You can find the option of the upper right corner “Screen Options”. Comment Policy: Please ask questions or post comments that are specific to this First Website lesson. Please use your real name in your comment so that I can address you properly. Thanks!